They've culled their own numbers to make their population more manageable and more covert. They've utilized the science of genetics, stem-cell, medical research, and DNA splicing to make them immune from death by sunlight and by wooden stake. They can now see their mirror reflections. They've made themselves virtually undetectable by vampyre hunters. They've insinuated their presence into the very core of world education, medicine, science, and politics. Yet, not all vampyres are satisfied; some yearn for the old days of indiscriminate blood lust and feeding frenzy. 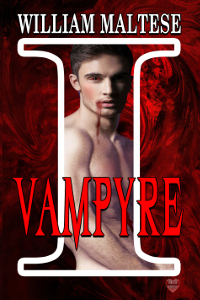 As these rebels break from the majority, they threaten the stability of the Vampyre Nation, bring back the threat of vampyre hunters, and discover that a new method to end their immortality has been put into play.